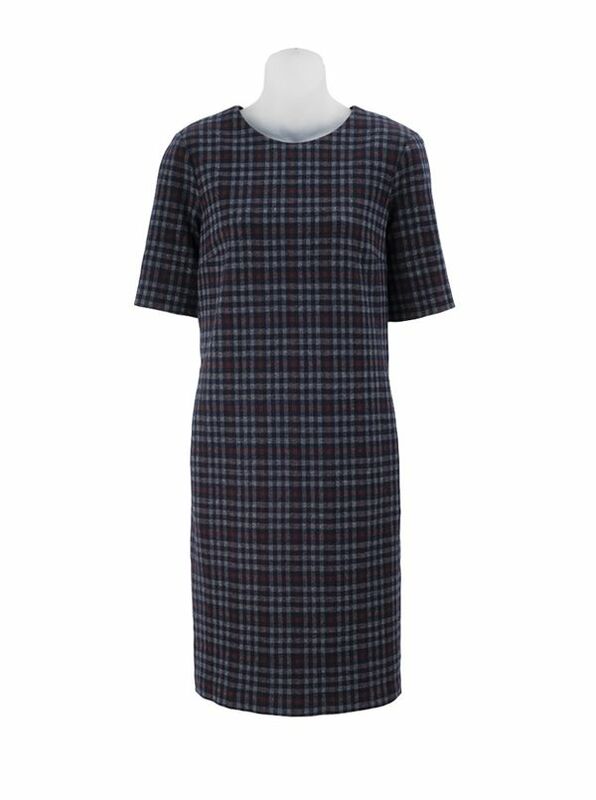 Caterina Check Dress, made in Italy in an innovative fabric of 61% cotton/39% wool. With side pockets, back zipper, jewel neck, short. Lined.